NEW DELHI – Tax authorities in India have made contact with 35 000 more people who are accused of willfully neglecting their tax filing obligations. In a statement issued on May 27th the Income tax department of India announced that it has sent out over 35 000 more letters to taxpayers who have not been filing their personal tax returns, bringing the total number of such letters sent this year to 175 000. 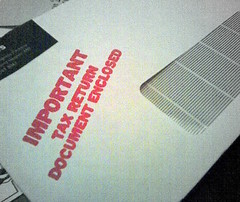 The letters sent contain information on what data the Income Tax Department already has about the taxpayer, and requests clarification from the taxpayers regarding their current tax situation. The taxpayers who have been sent a letter were chosen through a new data matching program run by the Income Tax Department, which verifies individuals’ claimed income levels against information in the Cash transaction reports held by the Financial Intelligence Unit. The Financial Intelligence Unit is currently sifting through more than 47 million records and documents, and has already claimed that the process has led to the identification of more than 12 million non-filers.